LAGAWE, Ifugao – The Cordillera Regional Development Council (RDC-CAR) and the Regional Peace and Order Council (RPOC-CAR) passed a resolution requesting the National Irrigation Administration (NIA) to allocate funds for the implementation of additional irrigation projects along the mighty Chico River to increase the irrigated areas in Kalinga from only 1,170 hectares to at least 3,000 hectares of rice farms in the municipalities of Pinukpuk, Rizal and Tabuk City. The joint resolution was proposed by Kalinga public sector representative Engr. Andres Ngao-I to support the clamor of the provincial government led by Gov. Josel C. Baac for NIA to study the possibility of increasing the area covered by the Chico River pump irrigation project to irrigate more rice farms in Kalinga, the rice granary of the Cordillera. Baac pointed out that there should be more rice farms in the province that must be irrigated by the multi-billion irrigation project because the headwaters of the river system ceoms from Kalinga and the Cordillera, thus, the need for the farmers in the region to benefit from its rich resources for better productivity in terms of rice and improved sources of livelihood. Further, Baac also requested the NIA to provide sufficient tree seedlings which will be planted in the watershed areas of the Chico River to sustain its abundant water supply considering that it traces its headwaters to the Pasil, Saltan and Tanudan rivers, all from Kalinga, wherein their watersheds are properly maintained by the indigenous peoples in the said areas. 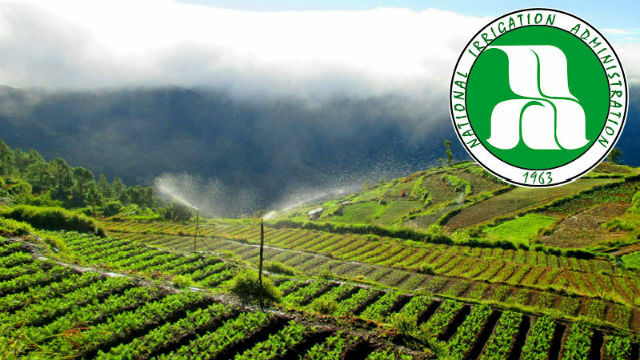 The P4.37 billion pump irrigation project will party irrigate Kalinga wherein some 1,160 hectares in Pinukpuk will be irrigated while some over 7,870 hectares of potential rice farms in Cagayan will definitely gain from the completion of the foreign-assisted project. While the RDC-CAR and RPOC-CAR expressed its support for the implementation of the Chico River pump irrigation project, both bodies also requested the NIA to study the possibility of expanding the coverage of the project to increase the potential irrigated areas in Kalinga to at least 3,000 hectares in the coming years to help improve rice production in the province and the region. The pump irrigation project includes the construction of a pump house, sub-station, transmission line, diversion main canal, lateral canals, appurtenant structures, access road and terminal facilities. Based on the background of the project, the estimated capacity of the diversion canal is 22.79 cubic meters per second while the 6 electric motor pumps are projected to have a capacity of 5,698.5 liters per second per pump. The pumping station will be located along the Chico River in barangay Katabonggan, Pinukpuk, Kalinga which is one of the major rice-producing areas in the province through the years.